Welcome to our area covering family law matters. We have a skilled team of family law solicitors who specialise in dealing with legal issues arising from relationship breakdowns. The breakdown of a relationship can be one of the most traumatic periods of anyone’s life. Naturally, you will be concerned about your current financial and property arrangements and how it will affect any children you may have. Our Family Team advises and represents clients in all types of family matters including divorce, co-habitee disputes, children and financial disputes and more. 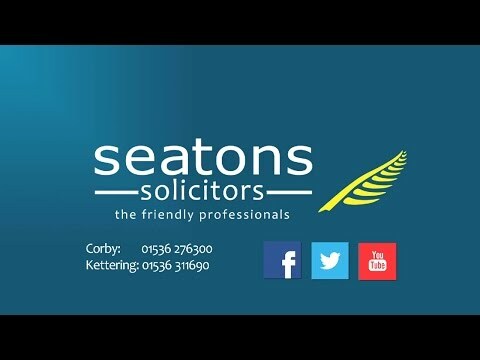 If you would like a brief, free no obligation chat over the telephone we can arrange for one of our solicitors to be available at a time to suit you. Please contact 01536 276314 or 01536 276300 to arrange this. Solving family law problems often involves many other aspects of the law. Our Family Team can call on the expertise of other departments within the firm whenever necessary to advise. Our Family Law Team has considerable experience in advising and representing high net worth clients but also clients from all backgrounds with all types of problems and disputes. Members of our team are members of The Law Society Family Panel and Resolution (formerly the Solicitors Family Law Association). We can also help with changing your name via Deed Polls in our Kettering and Corby offices. An annulment is a declaration made by the court that a marriage is void. Child Arrangement Orders replace Residence and Contact Orders. Whenever an application is made to the Court it will be listed for an initial directions hearing. Anyone involved in a divorce will inevitably worry about their children. We can help with this, click to find out more. A Cohabitation Agreement helps clarify financial commitments for partners. Domestic Violence can affect anyone, regardless of age or gender. Many unmarried father’s are confused about what rights they have. Once a Consent Order is approved by a Judge it forms a legally binding document. Mediation is a way of resolving disputes for separating or divorcing couples. Find out more information about this here. Sometimes married couples separate but, for one reason or another, do not intend to divorce. Enabling parents and families to be able to work in a positive and constructive way. Find out information about the Divorce process here. If a partner is trying to force you out of a property seek legal advice.